Known by many names – A. R., Mr. Big, The Fixer, The Big Bankroll, The Man Uptown, and The Brain - Arnold Rothstein seemed more myth than man. He was Meyer Wolfsheim in "The Great Gatsby" and Nathan Detroit in "Guys and Dolls." He was rumored to be the mastermind of the "Black Sox" scandal, the fixing of the 1919 World Series. Arnold Rothstein was gambling, and Arnold Rothstein was money. He was Mr. Broadway and had his own booth at Lindy’s restaurant in Manhattan where he held court. 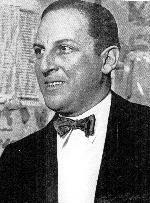 Many know about the life of Arnold Rothstein; few know the details of his death. "Man reported shot in Park Central Hotel, Seventh Avenue and 56th Street. Ambulance dispatched." That was the message recorded at 10:53 p.m. on Sunday, November 4, 1928 by a desk sergeant in Manhattan’s West 47th Street station. By midnight, the information had been updated to show that Arnold Rothstein, 46 years old of 912 Fifth Avenue had been shot in the abdomen and found near the employee’s entrance of the Park Central Hotel. Earlier that evening, Rothstein arrived at Lindy’s restaurant on Seventh Avenue and went to his private booth. Lindy’s was Rothstein’s office. He kept a regular schedule there and several men were already waiting to see him when he walked in that night. One of the men, Jimmy Meehan, ran the Park City Club, one of the city’s biggest gambling dens during the 1920s. Meehan operated the plush club with a bankroll supplied by Rothstein.. The man who had requested Rothstein’s presence at the hotel was George McManus. A bookmaker and gambler, McManus was well connected in the city with one brother serving on the police force and another serving as a priest. Several weeks earlier, McManus had hosted a high-stakes poker game in which Rothstein had participated. The game began on September 8th and continued into the morning of September 10th. Other players participating in the game were West Coast gambler Nate Raymond, Alvin "Titanic" Thompson, and Joe Bernstein. By the end of the marathon card game, Rothstein was a big loser. He owed Raymond $219,000, Bernstein $73,000, and Thompson $30,000. When Rothstein walked out, without so much as signing an IOU, a couple of the players became irritated. McManus assured the pair, "That’s A. R. Hell, he’s good for it. He’ll be calling you in a couple of days.". A week passed and Rothstein had still not made good. Rumors began to circulate that the game was crooked. Rothstein confided to his friend Nicky Arnstein, the husband of actress Fanny Brice, "A couple of people told me that the game was rigged." Arnstein’s advice to Rothstein was to pay the players off, "no point to your advertising you were a sucker." Rothstein held off paying his debt though, hoping to make the gamblers sweat and maybe take a lesser payoff. The players however were beginning to pressure McManus since he was the host and had promised them that Rothstein would make good. McManus sought help from his friend Jimmy Hines of Tammany Hall. Hines, who was also a friend of Rothstein, began to pressure him to clear up the matter. As the weeks passed, the pressure began to get to McManus who began drinking and threatened Rothstein for not making good on the debts. On Sunday night November 4th, McManus called Rothstein from room 349 in the Park Central Hotel where he was registered as George Richards. He requested Rothstein to come over right away. The conversation and events that took place after Rothstein arrived are still a mystery. Shortly after Rothstein entered room 349, he was shot once in the lower abdomen. The revolver was then tossed out the window where it bounced off the hood of a parked taxi and landed in the street. Employees later found Rothstein walking down the service stairs, holding his stomach and asking for a cab to take him home. A police officer soon arrived, summoned an ambulance, and Rothstein was taken to New York’s Polyclinic Hospital where he was quickly operated on. The bullet, which was removed, had entered just above the groin and traveled downward severing an artery. Rothstein had sustained tremendous internal bleeding. When he left the operating room, he was in a coma. Rothstein’s two brothers, Jack and Edgar, were summoned to the hospital along with Arnold’s wife, Carolyn. Rothstein was given a blood transfusion and morphine for his pain. He regained consciousness Monday morning and told his wife he wanted to go home. During the day, Rothstein signed a will prepared by his attorney and talked with several friends. When questioned by police as to who shot him, he replied, "I’ll take care of it myself." Late on Monday afternoon, Carolyn was permitted to see him again. He repeated his request to go home and told her, "Don’t go away. I don’t want to be alone. I can’t stand being alone." As he tried to raise himself he fell back and into unconsciousness. Rothstein would not regain consciousness and died the following morning at approximately 10:20, Election Day, November 6th, 1928. Rothstein had bet heavily on the election that year. Had he lived, he would have collected $570,000. His death negated the wagers. In the Jewish tradition, Rothstein was buried the following day in Union Field Cemetery in Queens. Inside the closed casket he was dressed in a white skullcap with a purple-striped prayer shawl over a muslin shroud. After Rothstein’s shooting, McManus contacted Jimmy Hines who sent Dutch Schultz associate, Abe "Bo" Weinberg, to pick him up and hide him. Three weeks later, McManus arranged for his own arrest in a Broadway barbershop. Although his Chesterfield coat, with his name sewn in it, was found in room 349, no witness could place him in the room at the time of the shooting and he was acquitted. He walked out of the courtroom wearing the overcoat which only minutes before had been tagged as a prosecutor’s exhibit. The gamblers who had taken part in the marathon poker game were also arrested. However, they all had ironclad alibis for the night of November 4th and were soon released. In 1940, McManus died of natural causes in Sea Girt, New Jersey. Rothstein’s murder remains officially unsolved. There has been some speculation over the years that there was more to the murder plot than just the unpaid gambling debts, that other organized crime members wanted to take over Rothstein’s lucrative rackets and political connections. It’s unlikely, if this were the case, that Rothstein would have only taken one bullet and that in the stomach instead of the head. It is entirely possible that when Rothstein arrived in room 349 he was confronted by a drunken, angry McManus who may have threatened him. When police searched the room they found several empty whiskey bottles. If this were the case Rothstein could even have been shot accidentally in a struggle with McManus. The Park Central Hotel would later become the Park Sheraton. It would be in the hotel’s barbershop on October 25, 1957 that Albert Anastasia would be murdered. In the end Rothstein was remembered for his cultivation of future organized crime figures Lucky Luciano, Frank Costello and Meyer Lansky who indeed did take over the Rothstein empire and the legend.